I sincerely apologize for missing last night update, but we got in very late last night, approximately midnight because we had the privilege of visiting other families homes who are part of the church here in Saint-Louis. Yesterday we got to spend some time with the Talibe children. In short, Talibe children are children who have been given up to a Muslim preacher to be taken as his own and taught the Quran. What ends up happening is these children end up on the street begging for food and money and are not well taken care of. So yesterday, we set up a medical clinic and played with the children for the day as well as fed them. It was quite a rewarding experience and something that cannot be expressed in a short amount of words. Today, we got to spend some time going out of Saint-Louis and to a bird park to see native Senegalese birds, wild boar, and crocodiles, and lizards! It was a nice break to just spend some time with the team and the missionaries here. Looking forward to tomorrows celebration!! Today has been a long day, but a very rewarding one. Again, the medical team worked at the clinic testing for high blood pressure and diabetes. The rest of us heading down the street to the local school and taught the children about the hazards of smoking. It was quiet an interesting experience express ourselves to children who could barley us. I titled this small update speechless for one main reason. This afternoon we got to spend some time with many different people from the surrounding community. We got to just celebrate with each other despite the differences of language and culture. There was such great unity within the room and the joy was overflowing and so evident! It was a joy to take part in, connecting barriers and communities. Today has been a very long day. This morning started similar with the medical clinic with the medical team. A group of eight, those of us who are not medical inclined, walked over to the local school and taught a class of English to 14-16 year olds. It is always a new experience when teaching a new language to teenagers who cannot understand you nor you them. In the afternoon we had the pleasure of going to people to who belong to the church homes. We got to hear their stories and their experiences living in Saint-Louis. We went to three different homes and listening to all of their stories was incredibly eye opening. Again a long day and we are all very much so looking forward to getting into bed. Tomorrow is going to be more medical clinic and teaching. We are all looking forward to tomorrows events. Goodnight. It was an early start this morning for us all getting ready to go to the center to start our work for the week. When we arrived, I was surprised that there were already people waiting for our arrival and the clinic to be set up. Today we saw over forty-five people, many included the elders within the community, and everything went smoothly. There were many new experiences, especially for those of us who are new to the culture. Sitting on the mats for lunch was an experience that won’t be forgotten soon. After lunch, for the rest of the day, the team got to adventure out into the market places of Saint-Louis to pick out their cloth for our traditional Senegalese garb for Saturdays dedication of the center that was just recently finished. After some much needed rest time, we headed to Vicki and Eric’s home where we ate dinner and spent some time visiting them. We are all exhausted and are looking forward to tomorrow’s events. Don’t forget to keep an eye on our Facebook page! 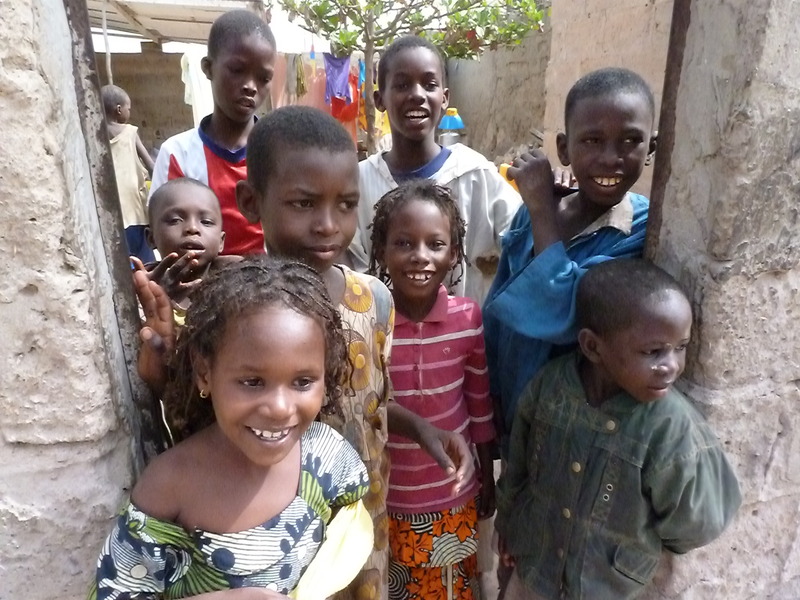 Senegal Team Leaves in Less than Four Days! It is unbelievable how time goes by so fast and there is less than four days before the team going to Senegal leaves! We are all looking forward to this exciting adventure that we have all been planning for the past months. While the team is there, I will be updating everyone at home the events of that day. Please keep us in your minds while we are over-seas.